There are three great options for stationary automatic Dish network satellite when parking in wooded areas by allowing you up to 50' of mobility in placement! Call 1-800-343-6255 to order one of these satellites today! 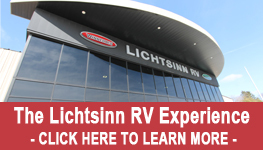 Automatically configures for U.S. satellite service with no dip switches. Includes 50' of coax cable with connectors pre-installed and a power inserter. Imagined and created by KING, the Tailgater defines affordable simplicity for satellite TV on the go. 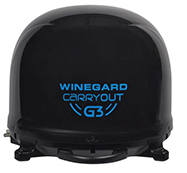 The Tailgater Pro, specific for DISH service, is the original and most affordable receiver-controlled automatic portable satellite antenna. Automatic satellite acquisition wherever you go with no separate remote control or power source required. 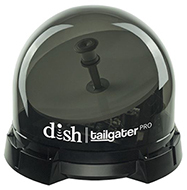 Just connect the Tailgater Pro to your DISH receiver and in minutes you're watching your favorite satellite TV shows in crystal clear HDTV. It even tells you if satellite signal is partially or completely blocked via on-screen diagnostics. For reception of DISH Network SD and HD programming.